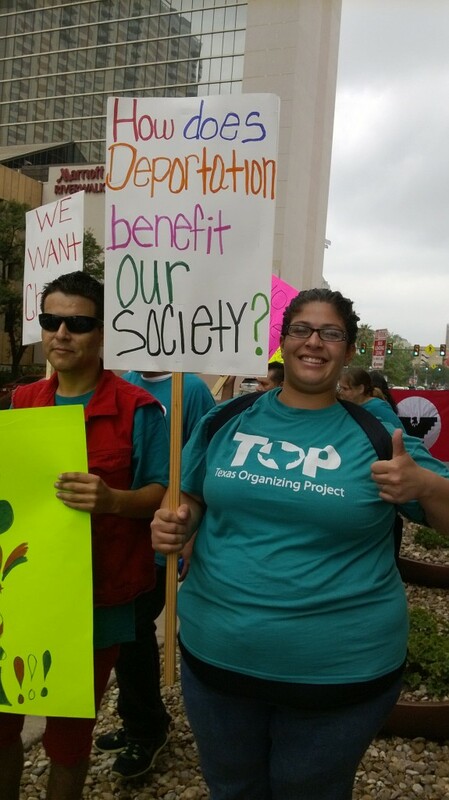 Patti Radle, Oblate JPIC Committee member, sent us pictures and information about a a lively protest on May 12th in downtown San Antonio calling for Immigration reform. The occasion was a talk at the Marriot Hotel by House Speaker John Boehner. 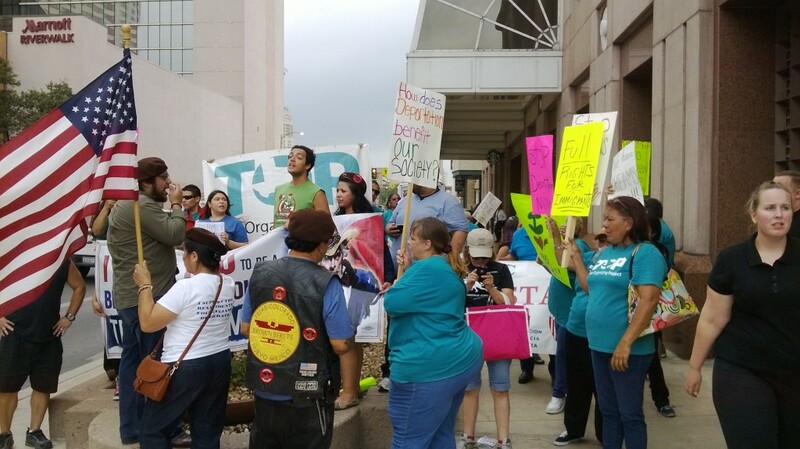 Bexar County Young Tejano Democrats took the lead on organizing this event, which drew many people to shout “Immigration reform NOW!” and to speak about the need to stop the deportations and the separation of family members. At one point, rally participants entered the Marriot to deliver a letter to Boehner but politely left when they were told they were not welcome in the hotel. 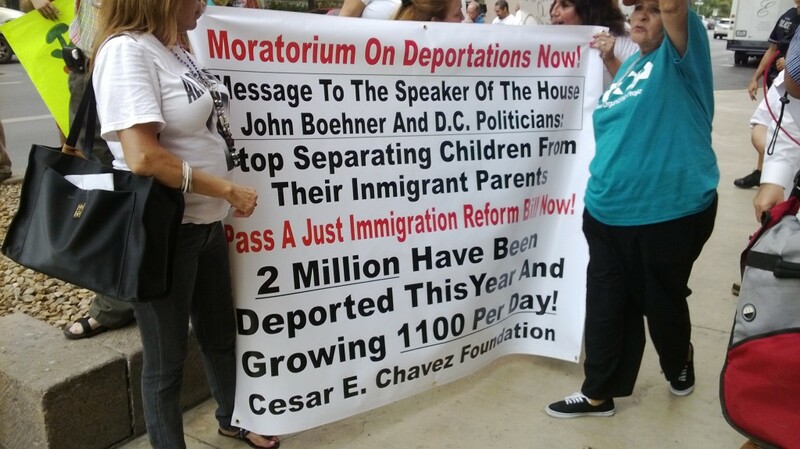 The group succeeded in getting the letter to Speaker Boehner’s staff.